The Royal Botanical Gardens, commonly called "Hope Gardens", occupies 200 acres of land in the Ligunaea Plains of urban St Andrew. The gardens were established in 1873 on a section of land from the estate of Major Richard Hope, one of the original English colonisers who arrived with the invading force of Penn and Venables. 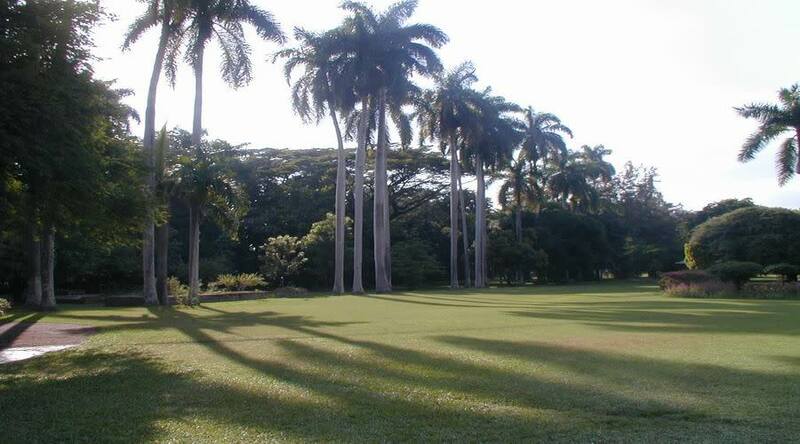 Today the gardens are the largest public green space in the Kingston metropolitan region, and are home to Jamaica's most popular collection of endemic and exotic botanical collections. Of particular interest is the Cassia siamea grove by the main entrance, which was planted in 1907, and the other mini-gardens within the park - notably the cacti garden, with its rare varietals; the bougainvillea walk with its magnificent explosions of tropical colours; the annual gardens, with numerous species of exotic flowers; the sunken gardens and the lily pond. Most of the plants and trees, particularly the mango and various spice species found here and in the gardens at Bath, originally came from a captured French ship on its way from Mauritius to Hispaniola in 1782. 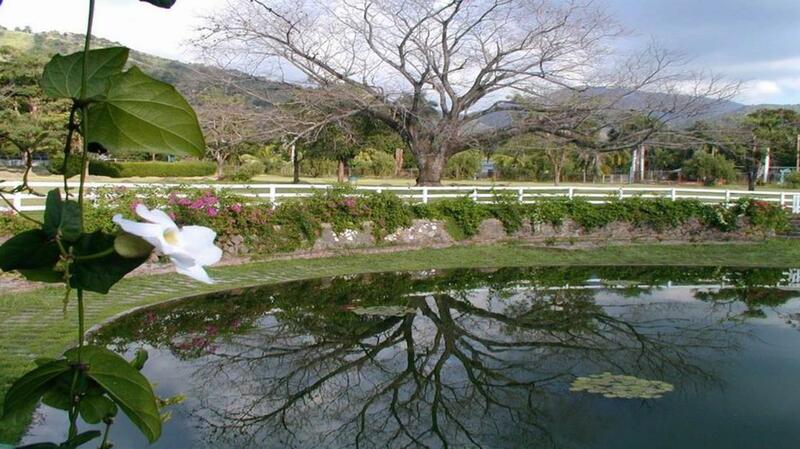 It is still highly unclear as to where exactly the plants went, but we do know that the Receiver General, one Mr Hinton East, owned and operated a garden near to the gardens at Hope. Since all cargo entering the country had to pass through his hands and be cleared by his office, it is not surprising that years after the fact, the whole collection was deposited in Mr East's garden which later was transplanted to the Hope Estate. There are many rare and beautiful species of tropical plants and trees at the Royal Botanical Gardens, including the Hibiscus elatus (blue mahoe), the national tree of Jamaica. Blue mahoe is a small spreading tree with flowers that open in primrose colour in the morning and change to orange and deep red as the day advances. The Amphitheatre, where the Honourable "Miss Lou" Louise Bennett-Coverly, a famous Jamaican folklorist, poet and storyteller, used to hold Saturday morning tapings of her famous TV show, Ring Ding. The Hope Gardens occasionally hosts band concerts by the Jamaica Military Band and poetry readings.